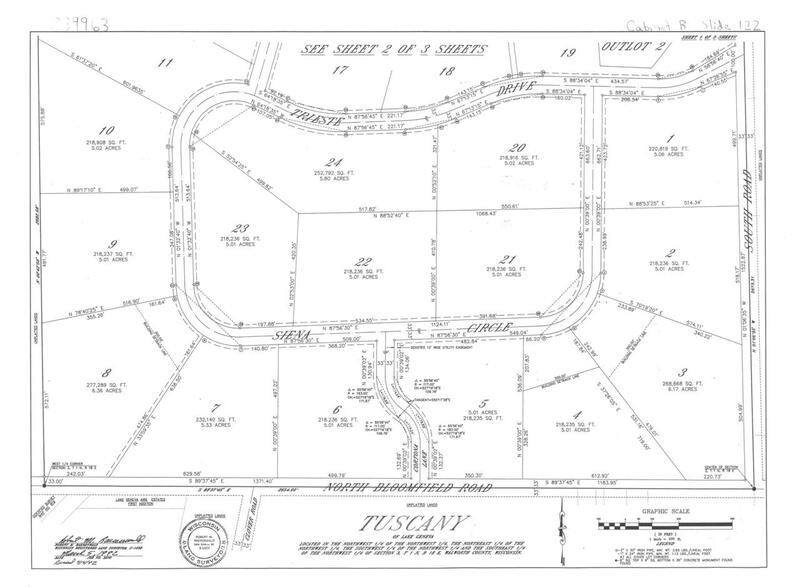 Tuscany lot boasts over 5 acres and a C-2 zoning! Bring your plans for this rolling parcel that is just minutes to downtown Lake Geneva and Highway 50! Tuscany is home to many upscale homes and a well stocked pond. Come take a look today! Rules and regulations for Tuscany are in the important paper file.